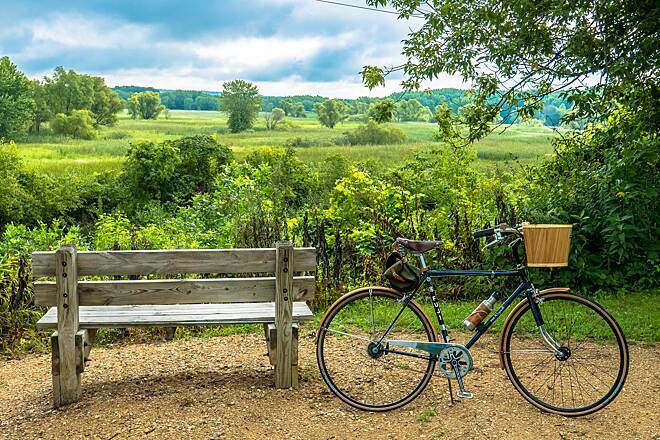 The Cannon Valley Trail, which became a National Recreation Trail in 2018, links the southeastern Minnesota communities of Red Wing, Welch, and Cannon Falls along the former route of the Chicago Great Western Railway line that once ran through the valley. 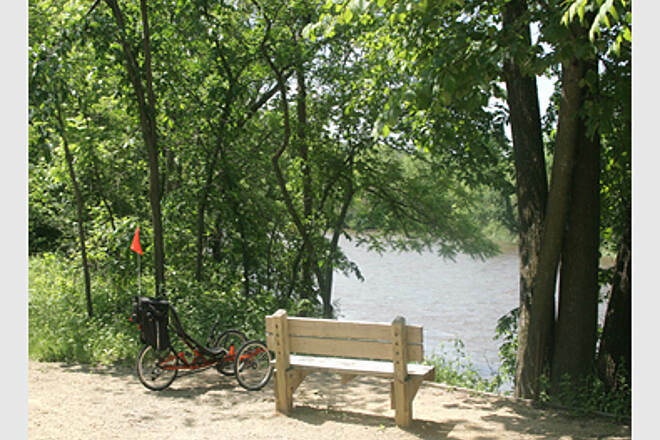 In addition to offering stunning views of the Cannon River, the trail meanders under lush canopies of hardwoods, along steep slopes with exposed rock ridges, and along bucolic country roads. 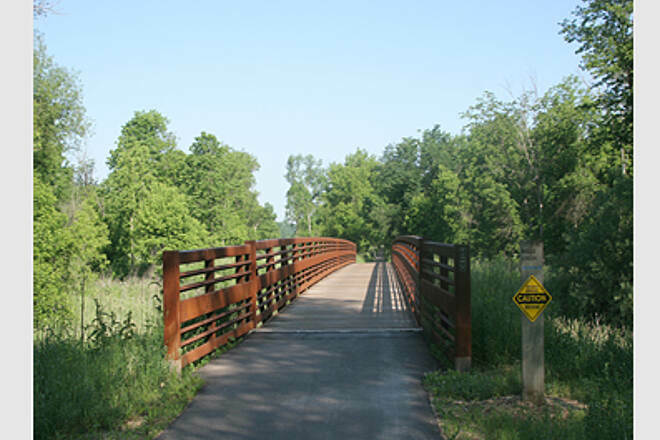 Although the trail has a drop of 115 feet between the cities at each end, the rail-turned-trail slope is gradual throughout its route, which winds through a striking mix of wetlands, river bluffs, several large lakes, and rolling farmland. 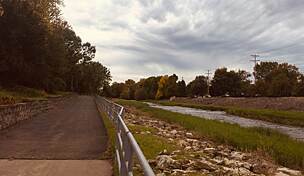 The trail was dedicated on May 31, 1986, with the towns of Cannon Falls and Red Wing, in addition to Goodhue County, agreeing to jointly manage the trail. The former Chicago Great Western corridor actually extends westward even farther to the city of Mankato. 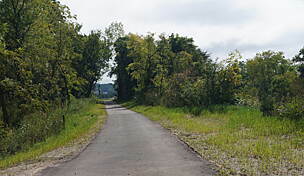 Between that city and Faribault, the Sakatah Singing Hills State Trail is open on the former rail line for recreational use. 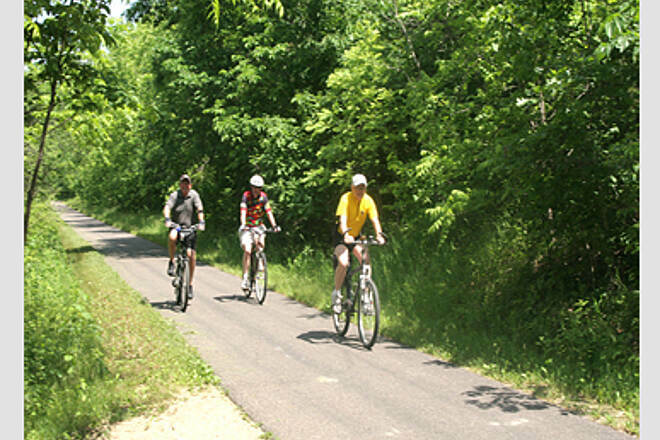 The planned Mill Towns Trail will fill the gap on the corridor between Faribault and Cannon Falls; when completed, trail users will be able to travel from Red Wing to Mankato on nearly 100 miles of uninterrupted rail-trails. 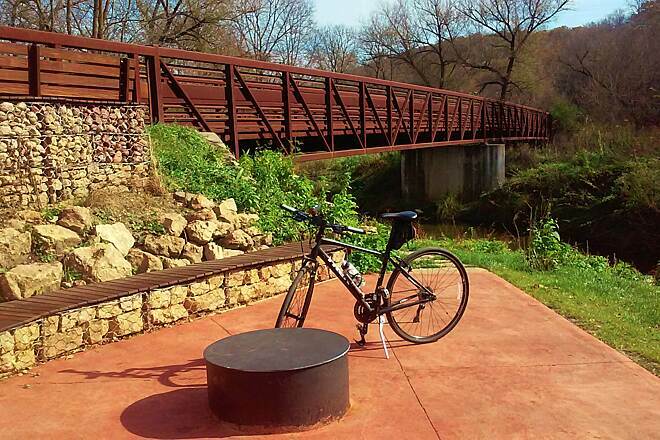 To help pay for maintenance of the Cannon Valley Trail, trail users age 18 and older require a Wheel Pass when using the trail April 1–November 1. Passes can be purchased at kiosks at major access points to the trail and at local businesses; pedestrians and wheelchair users are exempt. 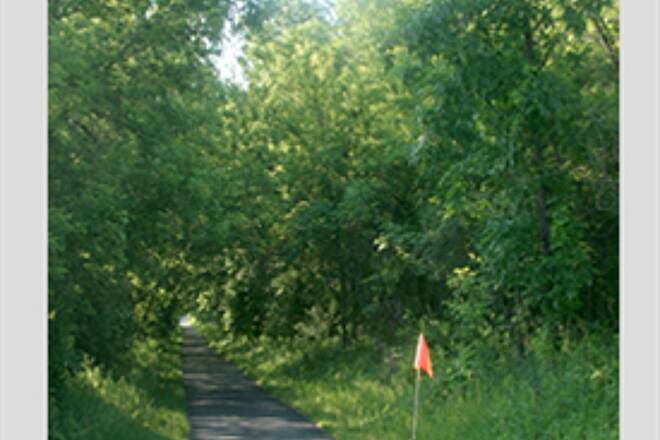 In Red Wing, a city trail beginning several blocks east of the trailhead will take you south for about 2 miles to the northern trailhead of the Goodhue Pioneer State Trail. 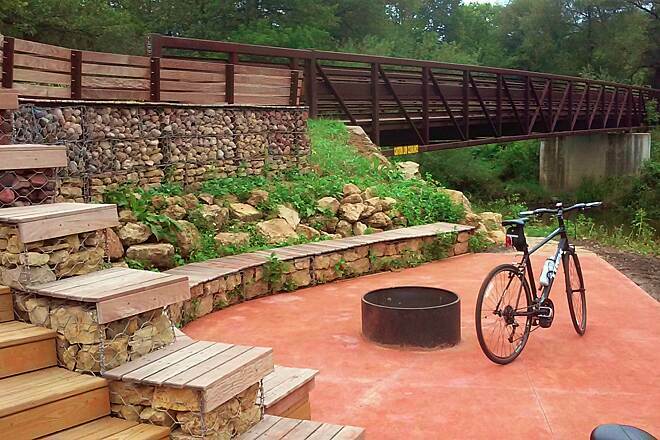 Using the Welch Station trailhead as the midpoint-loop starting point, the 7-mile sections provide an out-and-back option west toward Cannon Falls and east to Anderson Park in Red Wing. These sections are among the most scenic of the valley and also avoid most urban development at each end. Restrooms are available in Cannon Falls, Anderson Memorial Rest Area, Welch Station, Old West Main Street access, and Bay Point Park in Red Wing. To begin in Cannon Falls, from I-35, take Exit 76. Head east on County Road 2/Deuce Road, and go 0.8 mile. Turn right onto CR 46/Pillsbury Ave., and go 1.8 miles. Turn left onto CR 86/280th St. E., and go 16.8 miles. Make a slight left onto Rochester Blvd., and cross US 52. Go 2.6 miles, as the road changes to CR 29 and then MN 20. Turn left onto Dakota St. W., and take the first right onto N. Third St. In 0.2 mile, after crossing Cannon River, turn left onto Water St. In 0.1 mile turn left onto Stoughton St. E. and then onto Cannon River Ave. After 0.5 mile, turn right to go behind the city wastewater treatment facility to the city softball fields. Parking will be on the left. To reach the trailhead in Welch, from I-35, take Exit 86. Head east on 162nd St. W./CR 46, and go 19.6 miles. Continue straight on CR 47/Vermillion Road 2.1 miles. Turn right onto Vermillion St., and in 0.4 mile, turn left onto MN 316 S./Red Wing Blvd. Go 9.8 miles. Turn left onto US 61 S. and go 2 miles. Turn right onto County 7 Blvd., and go 2.7 miles. Turn right onto Mt. Hill Road and go 0.1 mile. Turn left into the parking area. 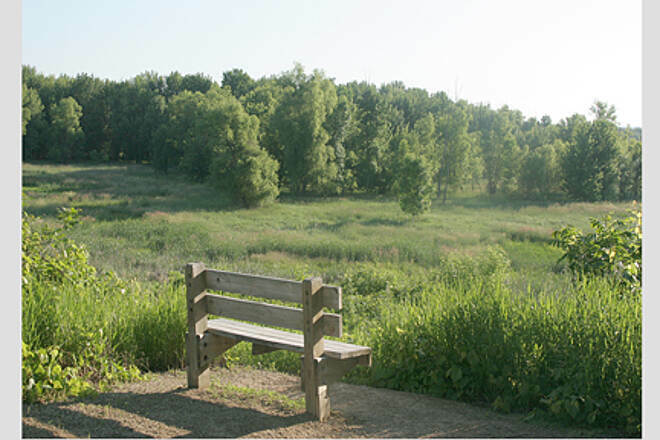 To reach the eastern trailhead in Red Wing, take I-494 to Exit 63B. Continue straight on Hastings Blvd. S./US 61, and go 2.4 miles. Turn left onto MN 316 S./Red Wing Blvd., and travel 9.8 miles. Turn left onto US 61 S. and go 11 miles. Turn left at the McDonald’s, and then turn right onto N. Service Drive. In 0.4 mile parking will be on the left. great views, mostly shaded for warm sunny days, enjoyed being able to ride to old town Red Wing where there were multiple restaurant options for lunch. In follow up to my review about a road crossing issue, I contacted CVT staff and they reached out to the city of Red Wing and the response from the public works department was basically, no it was not a detour issue, but rather a standing pattern as several factories in town all end work between 3 and 330. So if you intend to go into Red Wing from the west or come out of Red Wing from the east, be forewarned and plan to do so before 3 or after 330. I did then again contact CVT to suggest that maybe this should be an advisory on their website so you could check and see if they've posted something. Except for this, it's a great trail. Normally this is a really wonderful trail, a real nature bath, and it was for 8 miles today. We were out on the trail today heading from Welch to Red Wing - beautiful as usual - until we got close to Red Wing - I don't know the name of the street we were trying to cross but is is being used as a vehicle detour for another road that apparently is closed or has some issue. Basically, it was impossible to cross - there was continuous traffic and the trail crossing does not have a cross walk - I don't know if there are signs for the vehicles cautioning for the trail crossing but we waited about 5 minutes and not one vehicle showed even the slightest sign of recognition of the trail crossing. We wound up just turning around as we were not about to put ourselves into oblivious traffic. It seems that whoever designed the detour did not take the trail crossing into account. Very disappointing as we were hoping to reach the end of the CVT and hook up with the Hay Creek Trail. The fact that there is no cross walk suggests that it might normally be a low traffic crossing, clearly not the case today - this was about 3:15 PM, not even rush hour yet. I did send an email to the CVT organization and asked if there was something they could do or to contact the powers that be in Red Wing to make this a safer situation. While this is most likely a temporary situation, the time frame is not obvious, and the crossing needs to be safer now. Was a nice paved trail. A little bumpy riding out of Red Wing but smoothed out a couple miles in. At the trail end, in Cannon Falls is an excellent place to eat - Nicks Diner, which has good food and tasteful decor. 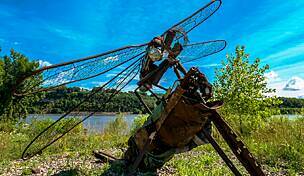 Gorgeous scenery from prairie flowers, forested areas, and of course the river! Hearing bird songs, seeing deer, squirrels, butterflies, caterpillars, and yes, a few harmless, small, snakes. This is biking in a gorgeous natural area with wildlife. And in Cannon Falls there are swans and ducks. 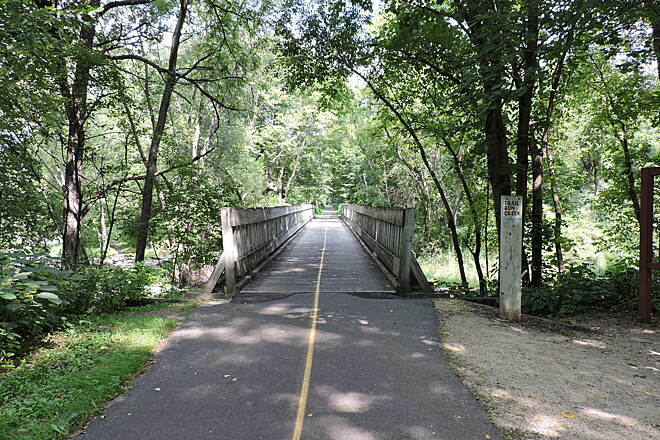 This is a trail you have to ride and the current $4.00 fee is well worth it (MN DNR does not maintain so Red Wing & Cannon Falls use fee money to maintain trail). Many nice rest stops with gorgeous views. 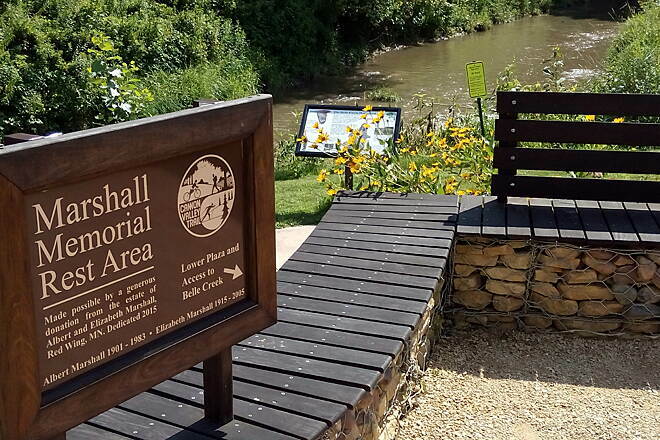 Marshall Memorial rest area at Belle Creek is one of our favorites. Nice flat, easy grade makes this an easy ride for any level of biker. 5 stars with no doubt! This was our 2nd trail on the way of Wisconsin Dells. I would definitely recommend this trail. I couldn`t see any issue on surface. The trip was so peaceful and joyful. For a paid trail I would expect the trail to be better maintained. There were many broken tree branches on the trail that should have been removed. There were about 5 long snakes crossing the trail. Recently did a round-trip on this trail in 90+ degree weather. The shaded portions saved us from the heat, and offered some beautiful scenery. Loved the rural route that took us through farms and along the river. Looking forward to exploring the area further! Rode this trail summer 2015 from Redwing on a weeknight.Trailhead had plenty of parking. Trail was smooth and beautiful! 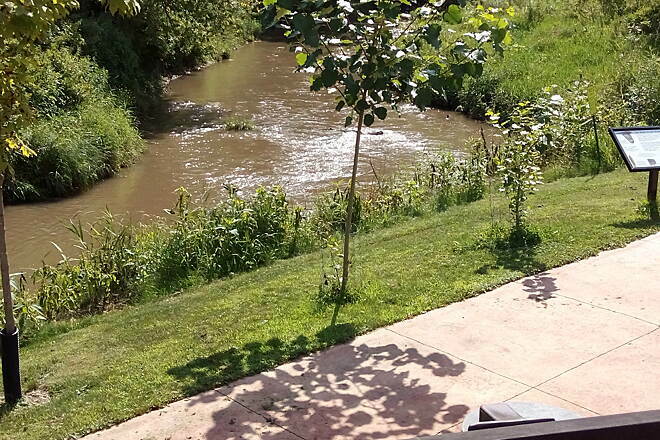 We stopped along the way to play along the river...there are several nice picnic areas. 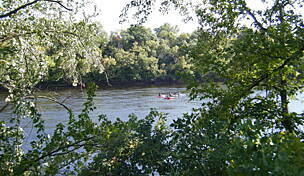 My husband rode to Cannon Falls and I turned around between welsh and Cannon Falls and I felt comfortable riding solo. Great rest area in Welsh. 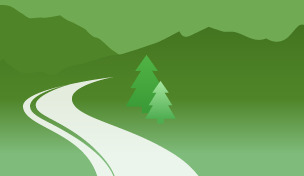 Easy trail - will a season pass 2016. Close to the Twin Cities, easy to start from the Red Wing or Cannon Falls end, doable in one day. 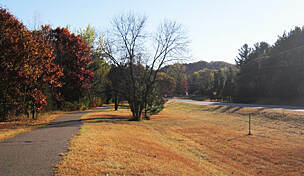 Well maintained, flat trail, paved. Goes through various types of scenery - wooded, prairie, farmland, small towns. Great trail for the fall colors. My son and I have been picking a new trail to try every week. The CVT is the best yet, by far. It has many amenities including a new rest area with a fire pit that is beautiful. We started in Red Wing and biked to Cannon. About half way you can get your pass in Welch. They had a very nice rest area and very friendly people. They had really nice cycling t-shirts for just $18 and were also giving away muffins and lemonade. It's a very festive atmosphere. The Trail itself is great, lots of nice scenery and it's well maintained. If you start in Red Wing or Welch and head to Cannon you will be grading up slightly. I really didn't notice it grading up but it was very apparent on the way back. It made for an easy 20 mile return. I can't wait to do the trail this Fall! I rode this trail down and back with my wife on 8/2/2015. We started in Cannon Falls. The trail start is just in front of Econofoods on HWY 19. When you start, just note that there is a $4 fee per person for the daily wheel pass (cash or check only). Sometimes there are people there to issue them to you, otherwise you just fill out an envelope and put it in the collection bin. Now, about the trail. It was very well maintained will light traffic (we went in the evening). From Cannon Falls to Welch, it is a lot of slight downhill (keep in mind if you plan on returning back). The trail is gorgeous. For much of the way it parallels the Cannon River where you can check out the people tubing. At the almost-halfway point, you can stop off in Welch for a pit stop. Downtown Welch is only 1/3 mile away, so if you want to grab a bite to eat, you have a couple places to choose from. The trail then continues another 9.5ish miles to Redwing. Once at Redwing, you can also stop for a bite to eat at Applebees (which we did). We then returned back to Cannon Falls. I would defintely ride this trail again! 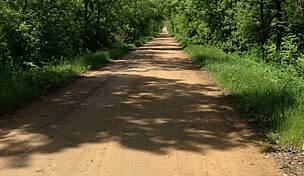 This was one of our top trails ever - smooth paved surface, beautiful scenery, lots of shade. 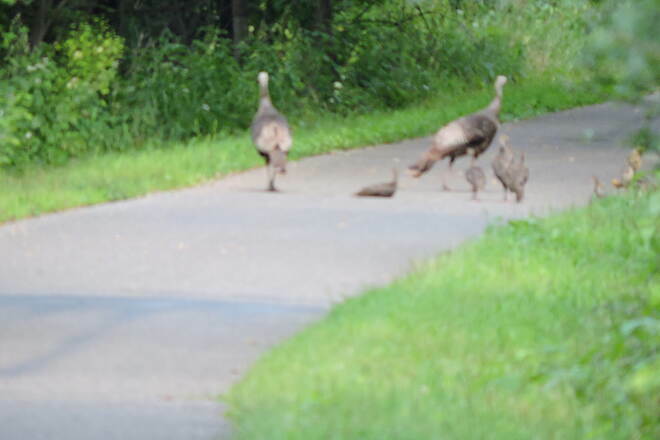 My one word of warning: if you're starting from Red Wing, start in town, not at the Anderson park access. We mistakenly thought the trail went along a busy road at first, so we started at the park, and the upper area at that. So our first experience of the trail was a screamingly steep downhill run, praying that we'd be able to stop our tandem if there was someone on the trail at the bottom. Once we were on the actual trail, it was lovely. There's a great rest stop about mid-way, with water, restrooms, picnic tables, and access to a small town for food. Other than that, you're pretty much in the wilderness until you get to Cannon Falls. If you continue beyond the trailhead, you can follow a paved trail through town, past the falls, to a parking lot and a grocery store. The trip back was quick and easy - we hadn't really noticed the uphill grade too much on the way out, but the downhill really helps when you're tired. so we were glad we'd started in Red Wing. This is my only five-star rated trail. I always buy the season pass and consider it money well spent. It's well maintained year round and breath taking year round. Enjoy friends!! I did a round trip from Cannon Falls to Red Wing and back on 9/22/14. The pavement is fairly smooth and fast with very few frost heave cracks. 80% of this trail is within a shade canopy - might be nice for a hot day Great sign and mileage markings. Let it rip! 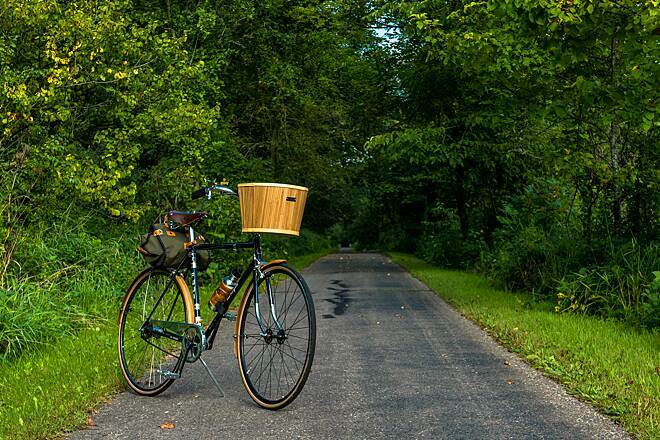 Consider adding the 1.7 mile city street ride into downtown Red Wing - quaint river city. I started at Red Wing and rode to Cannon Falls. I didn't mind the slight uphill, it was a bit breezy as well but still pretty easy going. The trees have not fully leafed out so I was able to see a few eagle nests and one very large eagle about 3 miles before Cannon Falls. Lots of friendly people, this seems to be a very popular trail. There is lots of shade and wild flowers such as phlox and roses. The scenery is incredible, you can see how the river has carved an ever changing path through the valley. 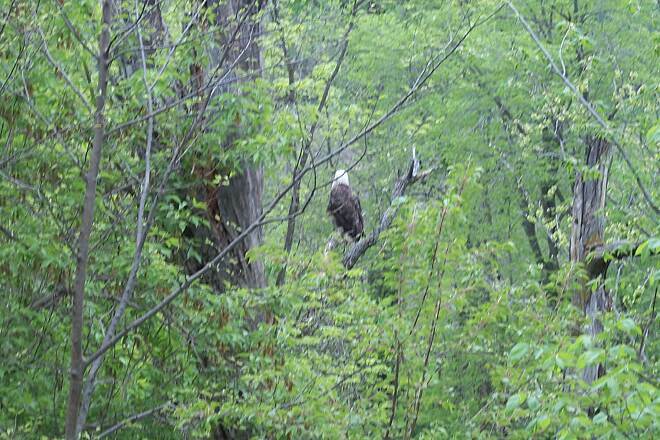 I think my next trip will be during the week when the trail might be quieter, I love bringing a camera and observing the wildlife, which other than the eagle, I didn't see too much of. I can see this is going to become a favorite ride for me. Wondering where to park in the future as the lot was full when I got there. There is no building at 306 West Mill Street in Cannon Falls now (it apparently was recently demolished), but a deli across the street sells trail permits. 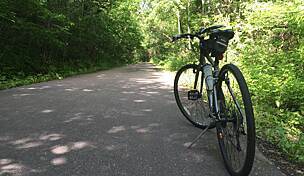 We rode from the trail Cannon Falls to Welch in late June and enjoyed it. It was pleasant riding even on a hot day because of the shade from trees along the trail. The section of the trail from Welch to Red Wing is closed at this time because of damage to the trail caused by heavy rain and flooding on June 14-15, 2012. I rode this trail many times in 2009 & was never disappointed. Often there were crews out maintaining it who were very courteous & polite. I usually start in Welch Village, so I've always got a "sag wagon" as I go out & back to both ends. On the Red Wing end there is now another trail connection (Hay Creek or maybe it goes by some other name) that is about 13 miles RT long & is very scenic. It ends in the small village of Hay Creek which is mostly a bar & campground. Also, at the Red Wing end you can keep going on city trails to Levee park on the Mississippi River--this adds another 5 miles RT. Fun to watch the boats go by or maybe a train. Sometimes there's a nice cool breeze from the water. There's also several fast food joints nearby. This trail is always worth doing although I try doing it during the week when there are fewer users. I rode the canon Valley Trail on June 17th 2008 with my recumbent trike, it was a weekday, so I pretty much had the trail to myself except for a few bikers I passed along the way. This trail can become quite crowded on weekends, so week days are a good time to bike. The trail is asphalt the entire way, and is easy to ride with it's flat terrain except for a few slight upgrades here and there. I spent two nights at the Rodeway Inn which is tucked behind the old historic pottery in Red Wing, and only about a 1/2 mile from the trail head. 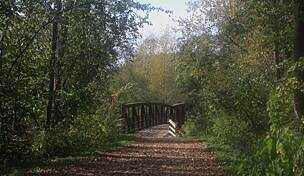 The trail follows along side the Canon Valley River the majority of the way, for approximately 19.7 miles. It's not uncommon to see large turtles sun bathing on the warm surface of the trail. 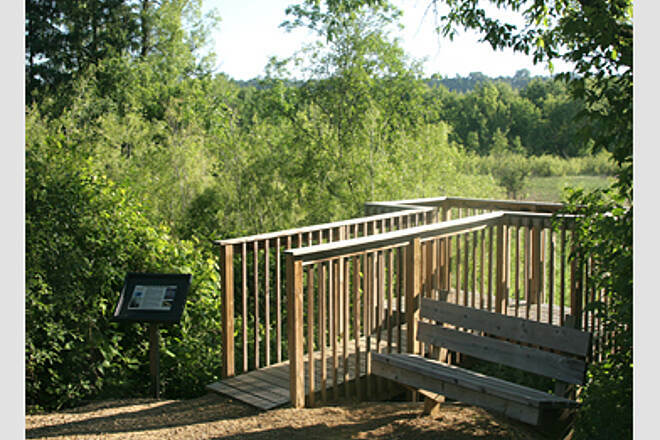 This trail is quite scenic with it's many views of the river, and observation decks over looking grassy marshlands, once you leave Red Wing the trail turns to mostly wooded areas. You'll find yourself crossing a number of wooden plank bridges, and as an extra treat there are off trail interpretive areas to explore telling about the history of the area. The trail ends in the town of Canon Valley, but as an extra bonus you can continue on the city trail, for another mile to the city park. I found this trail to be most enjoyable, and would highly recommend this ride to anyone. Easy, attractive and close to the Cities - what's not to like? This trail is perfect for a relaxing day trip. 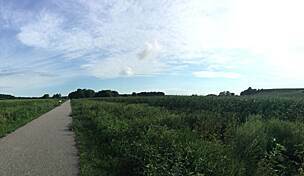 The trail is gently rolling, with lots of shade and scenic river views, and only a couple of cornfields. There's a very nice pit stop at Welch Depot at the half-way point with water, toilets and a shaded picnic ground. Ride 1/4 mile to the tiny town of Welch for an ice cream cone or even an impulsive tubing trip on the Cannon River. There's a short run available that takes about an hour. Incredibly refreshing on a hot day! 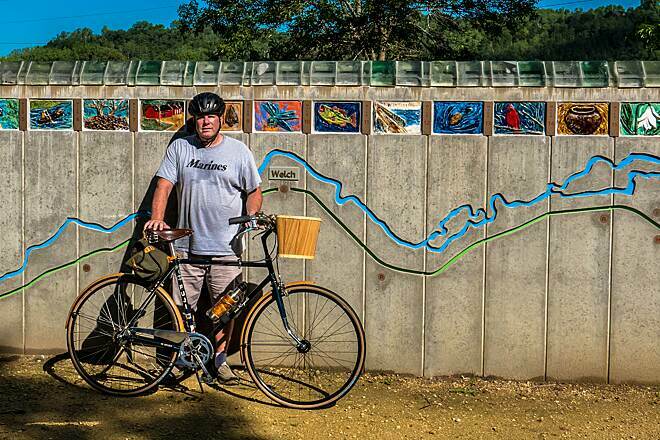 Intrepid bikers can ride the trail both ways for a 40-mile ride. Wussy bikers (like me and my husband) can turn around at Welch for a total of 20 miles, or stay in one of the lovely B&Bs at either end for an easy 2-day bike trip. 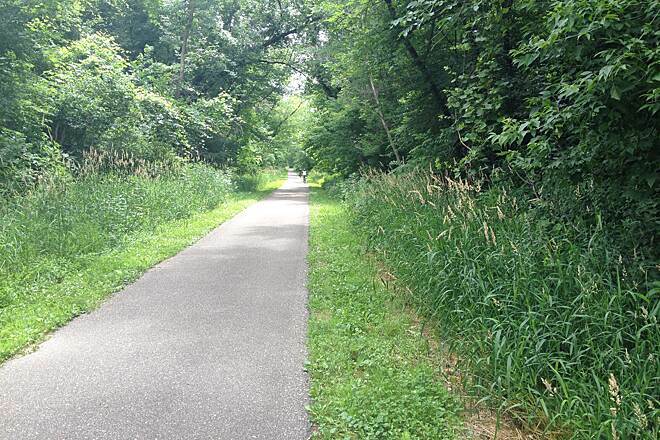 If you're only biking half the trail, I'd recommend the Cannon Falls end. It's a bit more scenic and it's definitely the shadier end of the trail. Cannon Falls is a little higher than Red Wing, but the difference in elevation isn't very noticeable. On the other hand, Redwing has more choices for food and lodging, so you might prefer to end up there. This trail is worth trying! The scenery is spectacular and there is wildlife to view! Rumor has it that it is very busy on weekends. We attempted to rent a bike for my 10-year-old. 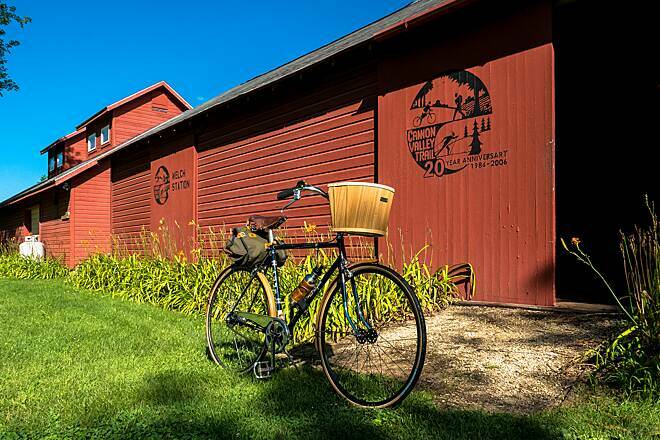 The bike shop in Cannon Falls did not have a bike that was appropriate for the trail. Dad and son walked part of the trail and fed the ducks. 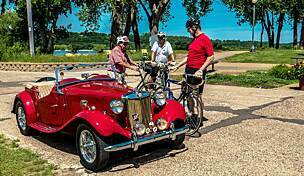 "This exemplifies Minnesota's best trails, adhering closely to water routes, incorporating forests, fields, and marshlands, and avoiding climbs that might tax your pacemaker. It's easiest to start in Redwing, making the gradual climb to Cannon Falls, then having an easy glide back. You should get a chance to see varied wildlife, bird species, and, if you're so inclined, some great mushrooms. You can also combine biking with canoeing to double your fun."